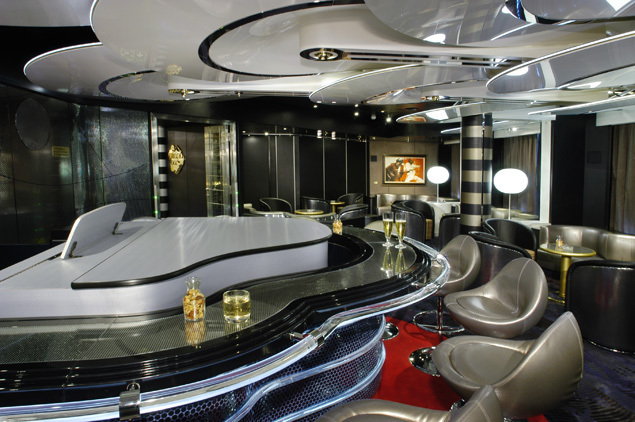 Oosterdam is a ship that blends style and comfort with efficiency and class. It uses a diesel-electric power plant to help meet environmental standards, with a propulsion system that maximizes maneuverability. The ship displays a Waterford crystal globe in the three-story atrium. 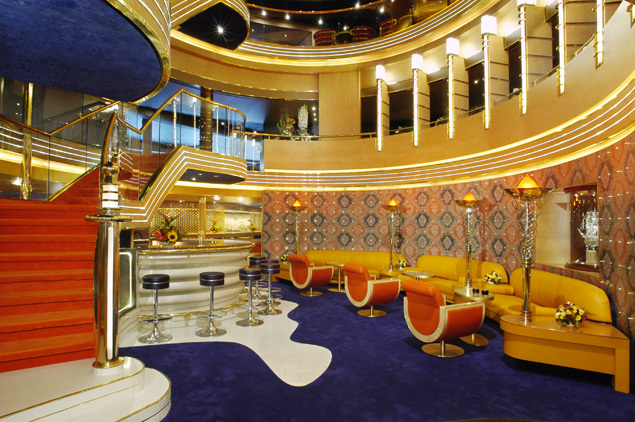 The ship's décor is impeccably stylish, incorporating flower arrangements, beautiful artwork, marble, wood and brass. 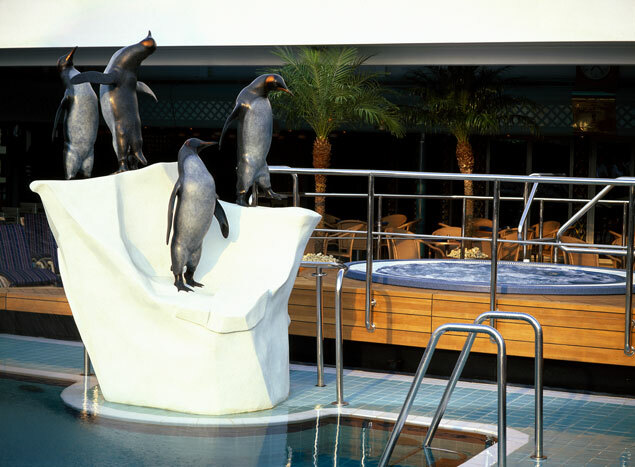 Guests will travel to exotic destinations on this luxurious ship each time they board the magnificent Oosterdam. Oosterdam is full of amenities and exciting activities, fit for every traveler. Enjoy enrichment programs including a digital workshop and cooking classes, or work up a sweat at the fitness center, with its fully-equipped gym and great aerobics classes. The Greenhouse Spa and Salon is the perfect place to pamper yourself all day, and you can get a massage or a facial. Soak up the sun poolside, or splash around in the water. The kids programs are great for all ages - Club HAL® is dedicated for kids aged 3-12, while the Loft is exclusively for teens aged 13-17. Well supervised, age appropriate activities abound so parents can enjoy a day on the ship free of worries. Dining on Oosterdam is a delectable experience for the entire family. The dining rooms and restaurants serve all of your favorite foods, prepared specially the way you like it. Try the Vista Dining Room for stunning décor, impeccable service, a wine list that will match every meal, and five-course menus. Continental, vegetarian, and low-carb cuisine are only some of the many choices available. The Lido Restaurant is a more relaxed option, with freshly prepared and cooked-to-order meals for all repasts of the day. Try the Pinnacle Grill for an elegant dining experience; they prepare fresh seafood, premium beef, and pair every meal with select wines. The Explorations Café is a great spot for a gourmet coffee and a pastry, and there are several other casual dining options available too. 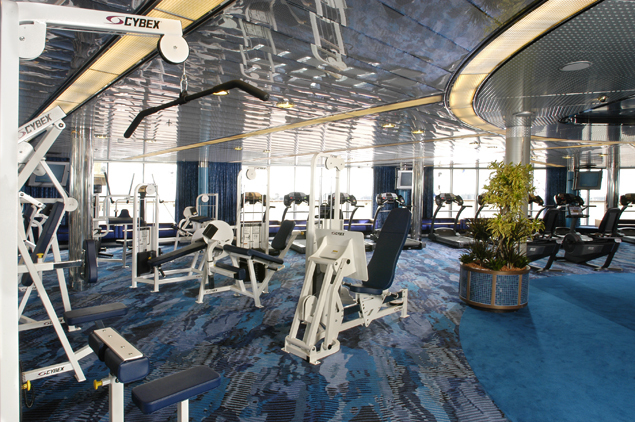 The ship also has 24-hour room service. 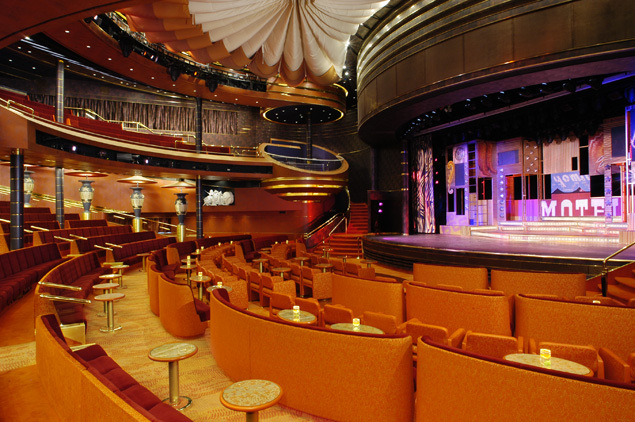 Oosterdam is fully equipped to keep everyone in the family entertained both night and day. 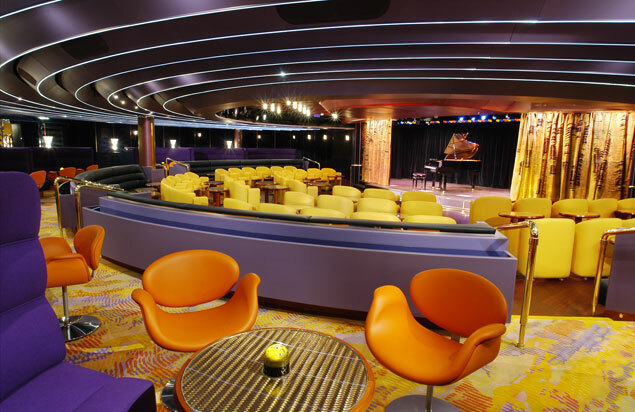 After a delicious evening meal, get ready for a "night on the town" and head over to the Vista Show Lounge. Catch a live performance, featuring a variety of acts from vocalists to illusionists to dancers to comedy. The Crow's Nest nightclub will keep you dancing until the wee hours of the morning - head over to this hip spot and enjoy a cocktail and some great music. Try one of the bars and lounges for a more relaxed evening, and spend time with your new (and old) friends. If you want to try your luck, head to the casino and play poker, roulette, and more.